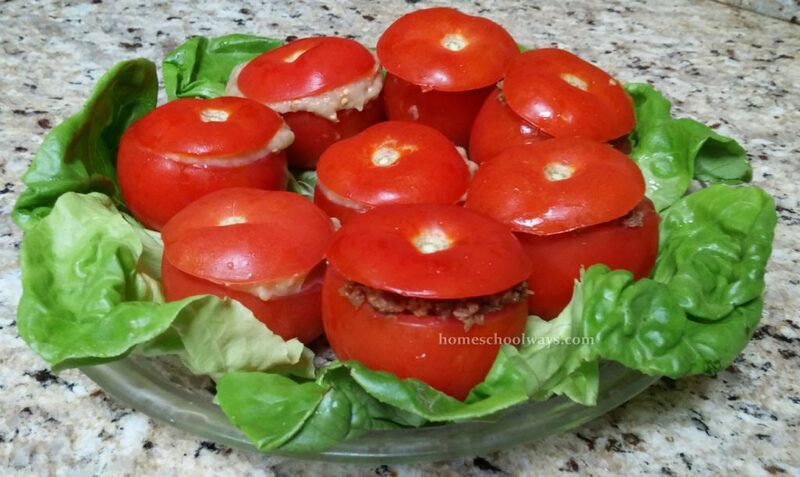 Tomatoes can be stuffed with different spreads or ground crumbles. I used Morning Star crumbles or similar vegetarian ground “beef” and eggplant spread to stuff my tomatoes. I love eggplants, don’t you? Eggplants are nutritious, high in fiber and low in calories. Plus they look so pretty, all purple and shiny and smooth. I just think eggplants are the best!